Self-Discipline on the way to Self-Mastery? What sometimes feels like a gazillion years ago, my high school study hall teacher signed my 9th grade year book stating something to the effect that he had never seen a student with the level of self-discipline I had shown. At the time, I didn't really know if that was a good thing or a bad thing. Did I want to be known as a person who was in control? Today, as I reflect back over the years I can readily admit there are times when it has served me well. And, other times when...well, that slice of triple fudge chocolate cake was just to overpowering to resist. Self-discipline flew out the window and I savored every bite! There is alot to be said for being the master of your world. How it can put that extra "giddy up" in your step. Please enjoy this short message by Randy Gage. When you control your senses, you experience optimal health, energy and vitality. When you control your thoughts, you get the most repose, harmony and spiritual bliss. You can’t command things, but you can command your thoughts. You can’t coerce others to do things against their will, but you can mold and master your own will. That is the path to self-mastery. And people who are masters of themselves attract people that want to follow them. It may be the most attractive, compelling, and charismatic feature anyone can ever possess. But more important is the inner harmony it brings you. I am in complete astonishment at the revelations and ecstasy that comes to you when you achieve self-mastery. I am filled with joy and the grandeur of the prospect, and the actual majesty of its almost achievement. And I say almost, because I’m certainly not there yet. But ever day I get closer brings me more joy than I can even describe. This is the real prosperity we look for. Yes, Randy - it is. It's an on going process that someday I hope to master. What about you? Where are you on your quest for self-mastery? Internationally known leadership consultant, educator, speaker and author of more than twenty books David Cottrell gives terrific advice in Monday Morning Choices. He tells you, and I agree, that if you change your Mondays you can change your life. What he suggests is that each Monday you focus on one personal and positive choice for the week. Following are his timeless and proven principles for successful living; I have selected one quote for each choice. The Commitment Choice . . . Be Passionate Enough to Succeed. “There is one quality that one must possess to win, and that is definiteness of purpose—the knowledge of what one wants and a burning desire to possess it.” Napoleon Hill. The Values Choice . . . Choose the Right Enemies. “I have found that the greatest help in meeting any problem with decency and self-respect and whatever courage is demanded, is to know where you yourself stand. That is, to have in words what you believe and are acting from.” William Faulkner. Will you invest 20 minutes each Monday for the next 12 weeks to change your life? If you enjoyed this article, please share it with friends via the below links. George Bernard Shaw said, "People are always blaming their circumstances for what they are. I don't believe in circumstances. The people who get on in this world are the people who get up and look for the circumstances they want, and if they can't find them, they make them." Well, it's pretty apparent, isn't it? And every person who discovered this believed (for a while) that he was the first one to work it out. We become what we think about. Conversely, the person who has no goal, who doesn't know where he's going, and whose thoughts must therefore be thoughts of confusion, anxiety and worry - his life becomes one of frustration, fear, anxiety and worry. And if he thinks about nothing... he becomes nothing. How does it work? Why do we become what we think about? Well, I'll tell you how it works, as far as we know. To do this, I want to tell you about a situation that parallels the human mind. Suppose a farmer has some land, and it's good, fertile land. The land gives the farmer a choice; he may plant in that land whatever he chooses. The land doesn't care. It's up to the farmer to make the decision. Now, let's say that the farmer has two seeds in his hand- one is a seed of corn, the other is nightshade, a deadly poison. He digs two little holes in the earth and he plants both seeds-one corn, the other nightshade. He covers up the holes, waters and takes care of the land...and what will happen? Invariably, the land will return what was planted. Remember the land doesn't care. It will return poison in just as wonderful abundance as it will corn. So up come the two plants - one corn, one poison. The human mind is far more fertile, far more incredible and mysterious than the land, but it works the same way. It doesn't care what we plant...success...or failure. A concrete, worthwhile goal...or confusion, misunderstanding, fear, anxiety and so on. But what we plant it must return to us. If you enjoyed this article. Please share with your friends via the links below. 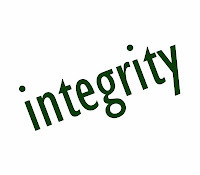 Noted author John D. McDonald defined it best when he wrote: "Integrity is not a conditional word. It doesn't blow in the wind or change with the weather. It is your inner image of yourself, and if you look in there and see a man who won't cheat, then you know he never will." When it comes to integrity you've either got it or you don't. There is no halfway. If there is no integrity there can be no trust and trust should be the very foundation (an unconditional character component) of every relationship in your life whether you're choosing a spouse, a friend or a business partner. If you have a few people in your life who are lacking in integrity - go out and find new ones. If you already have people of integrity in your life, cherish them, delight in them - go out and find more. Feel confident and assured these are the people you can build solid relationships and prosperous businesses with. The world is yours when you surround yourself with people of integrity. ~~ Thanks for stopping by. If you found this article interesting please share it with your friends via the below links. Today is the day before Thanksgiving and I have so much to be thankful for in my life. First and foremost I am grateful to be alive. We only get one ride on this merry-go-round called life. It's a waste to not make the most of it! I'm grateful for the wonderful people in my life. For my husband Steve who let's me be me. Which isn't as easy as you may think! Try living with a woman who sees no gender boundaries. For my mother-in-law, Miss Ina, a woman who loves to laugh. For great nieces and nephews who are cute as buttons! For my friends. For everyone in my life! Where would I be without these wonderful people. I am grateful for the food on my table each and every day. For the sun in the sky and a cool breeze on a hot summer afternoon. I'm grateful to have a curious mind and a can do attitude. 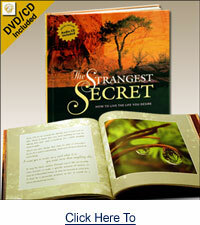 There is so much yet to be discovered and to do in this world. Woo Hoo! Life is good. And last but certainly not least, I am grateful to be healthy and happy. How about you? 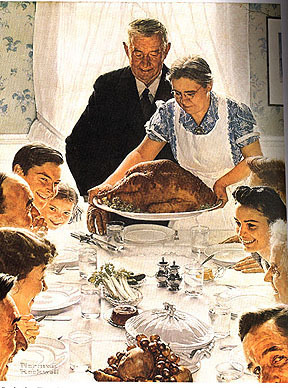 What are you most thankful for on this Thanksgiving? Ever get someone new on your team that sponsors ten people in a week? How did they do that, since they only had their products for one day and couldn’t explain the compensation plan if their life depended on it. Because will beats skill. Passion beats logic. Intensity beats analytics. Urgency beats casual. When you approach your business with passion, intensity and urgency, you bend the universe to your will. If your first presentation is perfect – you waited way too long to give it! Now I know you're bluffing. First, everyone has good ideas. Maybe not as fast or as often as others, but are you telling me that in your entire life, you've never had one good idea? Ever? Second, and way more telling, what happens if I give you a good idea. Here. Take it. Now what? You have it, right? Now you need to find a second reason for not making things happen. "I don't have enough time." "I can't get the resources." "I'm not sure, really sure, guaranteed, that this is a good idea." "My boss won't let me." And so the lizard brain speaks up, and so the cycle continues, and so the Resistance wins. There are more good ideas, right here, right now, for free, than ever before. More opportunities to connect and lead and make a difference and an impact and a living. Fewer guarantees, sure, but more ideas. It's your choice about whether or not you do anything with them, but please don't tell me you don't have any good ideas. To learn more about Seth Godin visit Seth Godin's Blog. Who should I choose as my partners? Top professionals have coaches. People who instruct them on the intricacies of their profession. Your support team will work with you, coach you as you build your team. As you learn you would do the same with your partners and this really works effectively with people who are coachable; who are easy to work with and take instruction well no matter their previous record of successes. Which would you rather work with? Someone who is open to instruction or a know it all who has no idea what they're doing? You want business partners you can depend on; who mean it when they decide to partner with you. With the right compensation plan you don't need hundreds of personal partners, just a few key people you can rely on to do what they say they're going to do when they say they're going to do it. Network marketing is a people business. Pick people who like working with people; who like helping people because they generally possess great people skills. Pick people you want to work with, that you like and that you like spending time with. These are often times people that you trust, that other people trust. They have a high level of credibility with their sphere of influence. When they tell people what they are doing, people listen and want to learn more. And last but certainly not least, you'll want to partner with people who are ambitious. "Go-Getters." People who would pick up the ball and run with it. People who like being successful. Partnerships in network marketing can last a lifetime. Choose wisely. Always choose the best. Related articles: "Is network marketing right for me?" Is network marketing right for me? Is everyone up to the task of owning their own business? Should it be a franchise or should you partner with a network marketing company? Big questions. Let's start by sorting a few things out. Do I like helping people? Do I have good people skills? Do I like being or do I want to be successful? If you answered yes to all 6 questions, (yes, all of them) network marketing is a business you will want to evaluate and pursue. Network marketing is a people business. An industry, a profession where helping the people (working with the people) in your organization achieve the level of success they desire is paramount in your success. Zig Ziglar said it best: "Help enough people get what they want and you'll get what you want." This requires a genuine desire to work with people. You'll be working with people who want to make a couple hundred a month, as well as those who want to achieve financial freedom. A common denominator in successful organizations is working in teams; learning from those who are already successful as they teach those who join you. To do this you'll need to master a few primary business building skills. If you're coachable it will make that learning curve much easier. If you attempt to work independently with an "I already know how to do this." attitude - you will struggle. Having good people skills can make working with people a lot easier; not to mention a whole lot more fun. Some people come by their people skills naturally, while others need to learn or refine them. If you're coachable, if you're open to learning - this is a skill-set you can learn. How important is being self-disciplined? Important! Do you do what you say you're going to do when you say you're going to do it? Are you a person people can depend on? People like that attribute in a business partner. And because you'll be working for yourself but not by yourself, it takes discipline to "go to work" without a boss looking over your shoulder. And although this is not critical, a history of being successful is also a key ingredient. For some people it would be a burning desire to succeed. As with anything, whether it's a diet or an exercise plan, if the desire is weak, the effort will also be weak and the results will be less than anticipated. When the going gets tough, as we know it will, quitting becomes easier than achieving the success you're looking for. But, Nancy - what about time and money. Do I need a lot of money or time? Time is not a key factor in your success, nor is money. You can have a boat load of money but if you don't know how to work with people or like helping people; If you're not coach-able; or if you don't manage your time productively - you'll struggle. Network marketing is a simple business that people tend to over complicate. It's not easy to put your trust in others. There will be trials and tribulations as there is with any business, with any thing significant; but the rewards are worth it. So how'd you do in answering the questions? Is network marketing a business you should further evaluate or should you keep working for some else? ~~ There is an affliction quietly and insidiously affecting us that crosses all lines of age, gender and race. It began when we were young and learned that in order to fit in with our families we had to ignore our own needs, stay silent, follow along, and give away our power. As adults this syndrome continues to rob us of our ability to ask directly for what we need and want and drives us to violate ourselves and our own integrity. When we're in its grips, we contort ourselves to fit in, to belong, and to ensure our status as a "good person". In a moment of desperation and powerlessness, we forsake ourselves in order to avoid confrontation and the mere possibility of rejection. This is the disease of trying to be liked, being nice, seeking acceptance, and trying to please others as a strategy - as a way to feel safe in the world and worthy in our own skin. What is even more important to recognize is that seeking the approval of others is a way to avoid how deeply we disapprove of ourselves. The feared rejection of another is actually an outward reflection of how we have already rejected certain aspects of ourselves. In all of the books I write, the talks I give and the trainings I lead, I encourage people to acknowledge the cost of their limiting beliefs and behaviors. When it comes to people-pleasing, the cost is so pervasive and damaging that I want to draw special attention to it this week. The moment we try to please another and abandon our own truth for theirs, we essentially hand our power to them, violate our own integrity, cut ourselves off from our inner wisdom, and - at least for a while - disconnect from our ability to love and nurture ourselves. [I know this so well, because I've done it a million times!] We may do this with our children, spouses, employers, friends and society at large. When being a "good girl" or a "good boy" becomes a way of life, we can be sure that exhaustion will accumulate, resentments will build, desperation and neediness will increase, and we'll travel deeper into the land of victim consciousness. This week, look to see how you might engage in people-pleasing and contemplate what the cost is in your own life, especially in the area of your self-respect...all the while keeping in mind that transformation begins when you tell yourself the truth. Am I standing in my power or am I trying to please another? How am I giving up my power to this person or situation? What would I need to know in order to have the courage to be straight with this person or in this situation? Disappoint somebody this week. Give yourself the gift of saying "no" when you mean it this week. As you practice being completely straight with yourself, notice the miracles unfolding in your communications with those around you. Debbie Ford - Create the Life You Love. My husband would be the first person to tell you I'm not much of a sports fan so it's rather strange for me to be quoting a sports legend like Vince Lombardi but I recently watched a very short movie at Simple Things about a speech by Coach Lombardi titled: 'What it takes to be number 1'. The movie features quotes and excerpts from that speech about how a person's "will" not their strength or their knowledge, but their sheer will is what fuels that deep down desire to give their all to what they're doing - to be the best you can be - to not quit when the going gets tough. He never accepted less than any player's best effort on or off the field. Vince Lombardi was one of the greatest football coaches in history who brilliantly brought out the best in his players, who in turn loved and respected him as he led the Green Bay Packers to win a lot of games and championships. 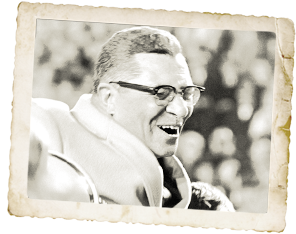 Coach Lombardi knew that anyone can gain the knowledge they need; they can build the strength they need but when it comes down to the last minutes of the game it will always be a person's "will", their belief in themselves, that causes them to reach deep within and give it their all. My friends, everything we do in life requires education, knowledge or strength to be good but it's when you reach deep inside and latch on to your will to succeed that you too can become the best you can be. So go for it! Be the winner you were meant to be. Believe In You. Live Everyday and Laugh Often.